Ashley is currently a cast member of Toronto's Second City Mainstage, where she performs six nights a week. 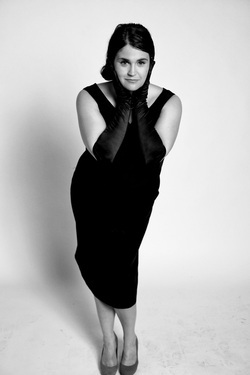 She is a two-time Canadian Comedy Award (CCA) winner, winning for Best Sketch and Best Improv Troupe. She was nominated for Best Female Improviser in 2010 and 2011, and 2013 and was nominated for a Dora award for her ensemble writing at The Second City. She was nominated for a CCA for Best Comedic Revue with her sketch troupe, “Punch In The Box” and played the Chicago Sketch Comedy Festival with them. Recent credits include “It’s A Wonderful Toronto: The Rob Ford Holiday Spectacular”, and improvising Sondheim musicals with The National Theatre of The World with The Winnipeg Jewish Theatre. Ashley’s writing has been published in The Toronto Star, and NOW Magazine, and she was recently shortlisted for the CBC's Canada Writes BloodLines prize. Her voice can be heard the animated series Let’s & Go, Paws and Tales, Z-squad, and Beywheelz. She is a regular on-air contributor to CTV News Channel. Follow Ashley on Twitter: @AshleyBotting.